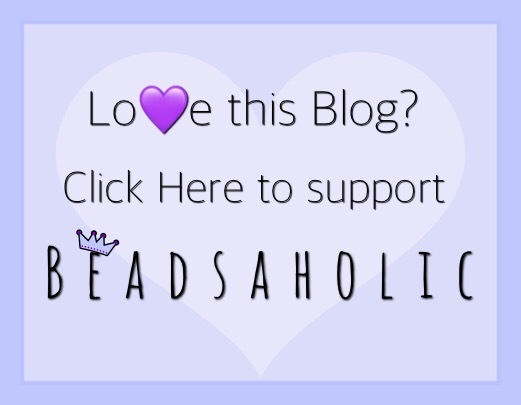 Today Beadsaholic brings the news of the Trollbeads Mama Mia preorders! Starting today February 9th, 2018 you may preorder the Limited-Edition Trollbeads Mother’s Day Mama Mia! I am delighted to see another floral Mother’s Day bead this year. This is always one of my favorite releases from Trollbeads and I always end up wanting multiplies, I don’t see this year being any different! I adore the peachy colors of the flowers in this bead and just cannot wait to see it in person. Over all, I think this will be a popular bead, just as the previous Mother’s Day beads. This bead is limited-edition, there is no set number of beads that I know of; however, in the past they have hung around a few months. If you like this bead I do urge you to buy while in stock, as you know second market can be rather high. 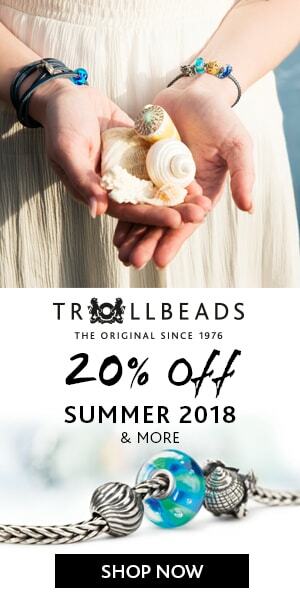 If you would like to preorder your bead today, then you may do so by following the banner link below for Trollbeads USA (affiliate link) or any of the featured retailers below banner. All featured retailers ship globally. As always, I love hearing from you guys! So, tell me, is Mama Mia for you? I personally love the peachy coral color of the flowers. I’m curious to how well it will go with the coral kit that came out a few years ago. It looks to be the perfect spring color. What do you think this bead will go well with? I think they will also go well with the feldsar moonstone and acorns from the autumn collection. I completely agree! I will have to pull out my moonstone and try this combo!